Whatever your politics, it's hard not to like a congressional candidate who opens her campaign ad with the line, "I grew up castrating hogs on an Iowa farm." 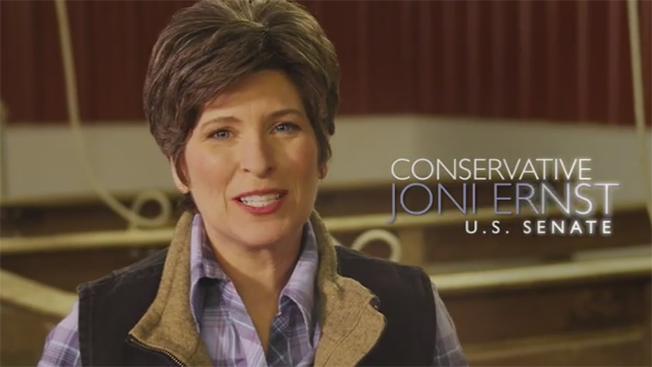 Joni Ernst is a conservative Republican hoping to replace Iowa's retiring Democratic U.S. Sen. Tom Harkin. She's in a crowded field of GOP contenders for the spot, so it's no surprise that she'd go for an attention-grabbing ad. If nothing else, her go-straight-for-the-goolies approach shows she's not afraid to be called a ball buster. Check out the ad below. Hat tip to Jenn Wallis on Twitter.